Over 4000 installations in Dublin and counting! Proud winners of the Best Small Business Award 2017, since our conception in 2010 we have been providing a high-quality supply and install service for high-security energy efficient Composite Doors and Windows, & Bifold Aluminium Doors throughout Dublin and Leinster. With 15 years in the windows and doors business, we are dedicated to providing the best service from initial contact through to finished installation. Upon visiting our Dundrum showroom you will receive personalised customer service and you can be confident in your choices as you will be dealing with one of the directors rather than a showroom assistant. Our complete range of Doors, PVC Windows, Alu-Clad Windows, Bi-Fold & Aluminium Doors, are all high security and energy efficient with extremely competitive prices. Feel free to contact us on 01 216 4951 or send us a message via Houzz for any questions you have about our products. Hausmann Aluminium is part of Composite Doors Ireland - together we are your one-stop shop for all composite & aluminium door and window solutions. Manufacturer of a unique range of composite doors called the Palladio Door Collection. We import and sell Lebo custom made internal pre-hung door sets. 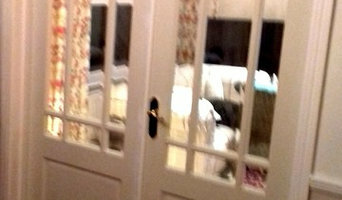 European styled Lebo doors are re-bated to provide excellent fit and insulation - sound, light and heat. Divine Ireland's main specialty is in the supply and fitting of wooden doors and wooden floors. Doors by Divine Ireland include a wide range of Spanish designed Interior Doors, plus an extensive range of Exterior Doors designed and manufactured in Ireland. 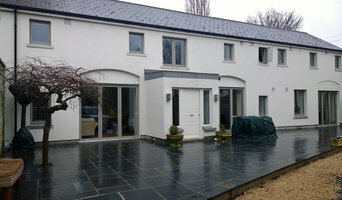 The Dublin Door market has been greatly improved by the new door styles and door designs introduced by Divine Ireland. 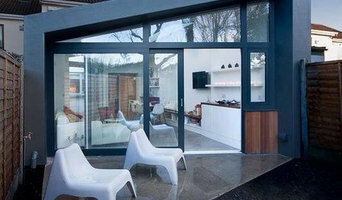 Irish homeowners no longer have to be satisfied with a very limited range of door designs or wood species. 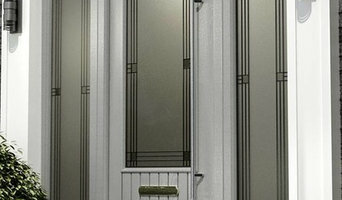 At Divine Ireland, we have a huge range of door designs available. Each door design is available in a variety of wood species. Doors are available in oak, light oak, cherry, walnut, maple mahogany and teak. Divine Ireland provides a door fitting and floor fitting service to ensure that clients receive a high quality installation service. Divine's door fitting and floor fitting service ensures that the finished result is of the highest quality, and is guaranteed by Divine Ireland. We offer one of the best selection of windows and doors made from PVC and aluminum, steel exterior composite doors, garage doors, and security systems such as shutters and grilles. Our doors and windows stand out due to their high energy-efficiency, security, variety of designs. The best insulation and acoustic properties guarantee perfect sound insulation and thermal comfort. We constantly perfect our products and include the latest technologies. This results in our clients receiving products with both a modern and classic design, as well as the best possible specification. Our company supplies the market with the highest quality products that under go very precise testing so that we can guarantee their uniqueness and absolute infallibility. The doors and windows we offer are frequently chosen by even the most demanding clients! An exciting, refreshing and premium range of internal doors, not previously sold in Ireland. Available alongside beautifully crafted door handles and wooden flooring, our product is destined to revolutionize the home. We offer a total solution for your Entry Door needs, we recognise the positive difference a designed door makes not only the look and security of your property but also the value it can add. When discussing your requirements with our sales designers, you will be able to draw on over 17 years of experience ensuring the success of your order. Our designers are always on hand for you to draw on their experience, furnishing you with technical advice and new ideas. We understand the importance of delivering and exceeding upon our customers’ expectations. At any one time a minimum of 60% of our orders come from repeat business and recommendations. We place an emphasis on being sensitive to your needs during installation and with our after care service. We will be happy to show you our list of customer testimonials and projects in your area. Using the best quality materials and manufacturing is central to enabling us to make a product that we are proud to stand by. We believe that the most effective way to make our product truly sustainable is to build in longevity at every stage. This is done not only by using the best traditional methods of construction but also advanced treatments and technologies. This is why we are happy to offer guarantee of up to 10 years on a range of our products. Kelly Brothers is a family owned joinery company based in Monaghan Specialising in the manufacture of bespoke fire doors and door sets. Founded in 1908 Kelly Brothers have earned a reputation for over for 100 years for quality and reliability in the production of traditional joinery ensuring that expert craftsmanship and quality survives the test of time. Kelly doors continually strive to meet changing needs of our customers and are constantly adding to the range of doors.Kelly Brothers offer our customers a one stop shop for products and expertise. We are the only manufacturer which enables the customer to use their creativity to design a door to any style and finish and which will comply with current building regulations including fire certification.